It’s summertime. It hot, it’s humid, the kids spend a lot of time at home, and you have more time to invite friends of family over for dinner or lunch. However, did you know that all these things take their toll on your carpets? Summer may have its advantages, but it turns out it’s not the best season for carpets. But before you call up your local carpet cleaning Connecticut service, we suggest you keep reading. This article will detail the common problems your carpets might suffer from over the summer, as well as some tips on how to prevent or at least minimize those problems. If you have wall-to-wall fitted carpets in your home, you may have noticed that during the summer they get “ripples” – areas where the carpet has become loose and rises from the floor; this phenomenon is known as buckling. 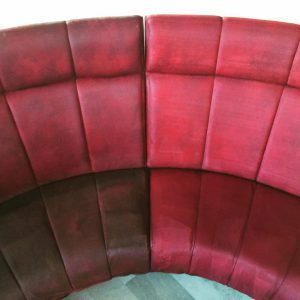 While buckling may also be caused by improper installation of the carpet, the secondary backing of the carpet getting detached, dragging heavy furniture across the carpet or the carpet getting drenched in water – heat and humidity are also a major cause. A good way to prevent buckling is to turn on your AC in carpeted areas and/or use a dehumidifier. Are your carpets starting to smell? That could be due to the weather. Over time, carpets accumulate stains, dust, dirt, mold and what not, and even if you vacuum them, some tiny critters and particles may hold on to the fibers stubbornly. 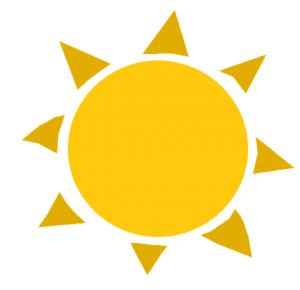 Heat and humidity only intensify this situation and might make it unbearable. The solution? Get your carpets professionally cleaning right before summer (and right after). Try to avoid using air fresheners as they contain hazardous chemicals and while they’ll make your house smell better, they’ll also pollute the air (especially if you keep windows closed during the summer because of the AC) – this is a great piece of advice we got from a rug cleaner Connecticut service. Remember all that nasty stuff that accumulates in your carpets over time? Not only can it smell bad, it could also be detrimental to your health. If you or one of your family members suffer from allergies, you’ve probably noticed that your allergies worsen when the weather gets warmer. Many people are sensitive to pollen, which might find its way into your carpets; and the dust, mold and bacteria hidden between the carpet fibers don’t make the situation any better, and may trigger allergies as well. 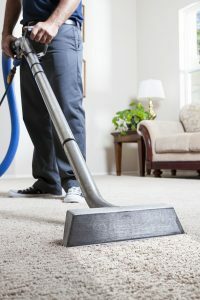 Make sure you vacuum your carpets regularly – look up some carpet cleaning methods Connecticut – and also get your carpets professionally cleaned once in a while. Carpets get stained all year round, that’s true; your pet or baby have an “accident”, you accidentally knock your wine glass off the table, you eat messily and some of your salad dressing finds its way into the carpet – those things happen all time. However, over the summer there are usually more people in the house – and when we say “people” we mean “children”, although grown-up guests also have their share in spilling and dropping stuff on the carpet. Children are at home for more hours during the summer and they’re more active – which means more drinks getting spilled, more crayons rolling around, not to mention dirty little hands and feet crawling all over the place. To minimize the damage, make sure to stock up on carpet cleaner and some clean cloths, as well as baby wipes, which are great as a quick fix. When stains or spills happen, blot them out immediately (don’t rub! ), then use the detergent and dab the area gently with a clean cloth. Hopefully, now that you know what can happen to your carpets in summer, you’ll make the necessary preparations and keep your carpets bright, clean and pleasant-smelling all summer long. But remember – if you couldn’t prevent or fix the problem on your own, you can always look up carpet cleaning services Connecticut and let the professionals handle it for you.